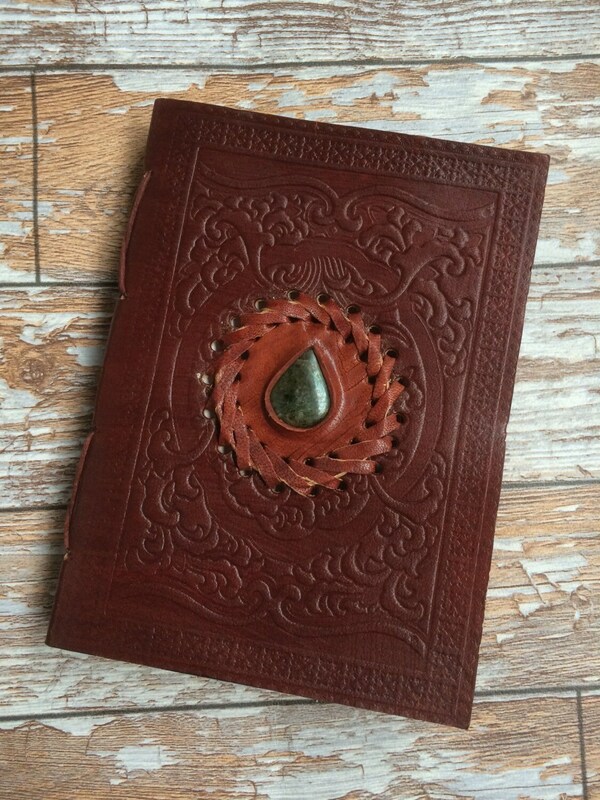 This listing is for our smallest and most pocket sized journals! 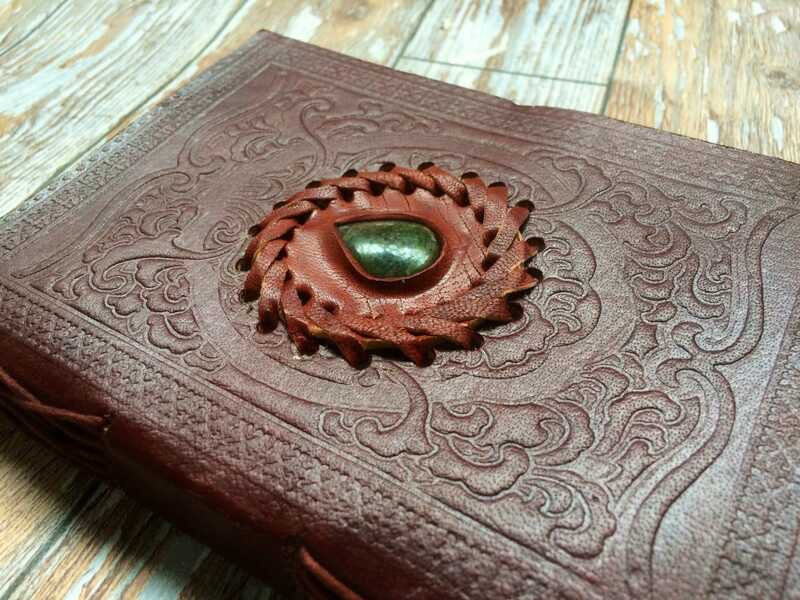 Our stunning hand embossed journals feature hand engraved leather covers with original designs, beautiful crystals and natural recycled paper. Whether you're an artist, musician or student, or whether you're just looking for that perfect travel journal, look no further than our incredible one of a kind leather notebooks. 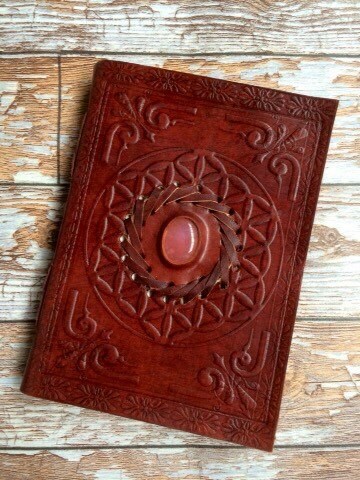 They make great photo albums, spell and manifestation books and are great for any dreamer or creative! 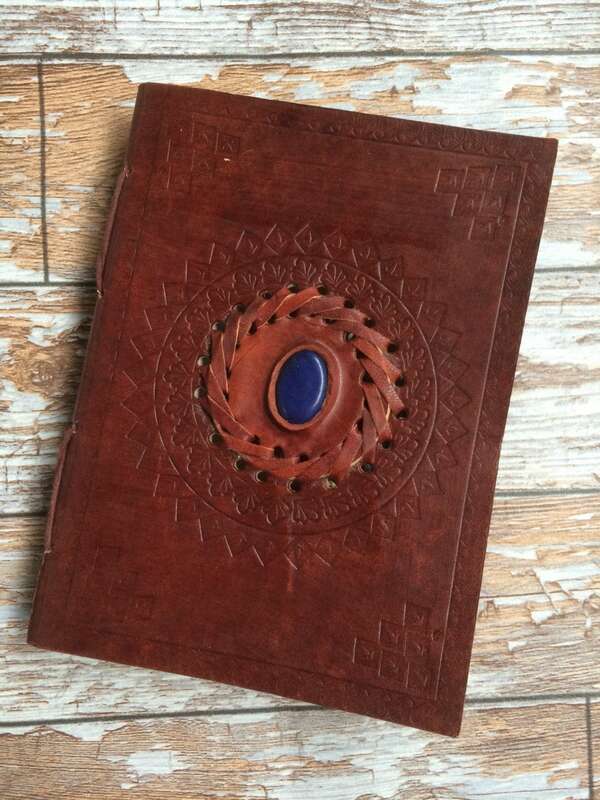 Our Small leather journals measure 7 x 5 inches and are made with beautiful handmade Nepalese papers and vintage leathers, stand out with these rich crystal encrusted, embossed notebooks. 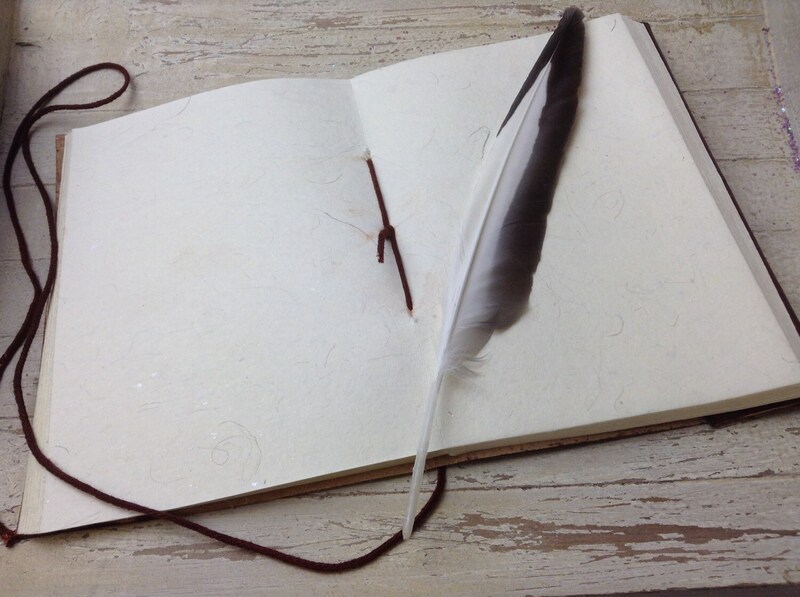 *Please note all of our journals are handmade and therefore designs will vary from original photographs.